interTrend founder and Long Beach investor Julia Huang. For Long Beach business owner and cultural guru, Julia Huang—the woman who helped bring global mural festival POW! WOW! to Long Beach, returned the Psychic Temple back to its former glory, and stands as a prime example that business acuity depends on the strength of a person, not their gender—her all-day speakers’ event this Wednesday is the culmination of a dozen years of work, starting in 2006. Unexpected Connections, taking place all day on November 7 at the Beverly O’Neill Theatre in Downtown Long Beach, has merged some of the world’s leading business minds—John C. Jay, for example, is the President of Global Creative for Fast Retailing, the parent company of brands ranging from Uniqlo to Theory—with some of our species most creative talents such as street artist David Choe. The hope? The point? To make tangible the philosophy behind Unexpected Connections: bringing together seemingly disparate people in a face-to-face setting outside the digital environment. Since 2006, Huang has been hosting speaking events in Long Beach and across the country that bring together great minds. In 2013, she hosted the aforementioned Jay in a sit down with late food and culture critic Jonathan Gold, the only food critic to win the Pulitzer. 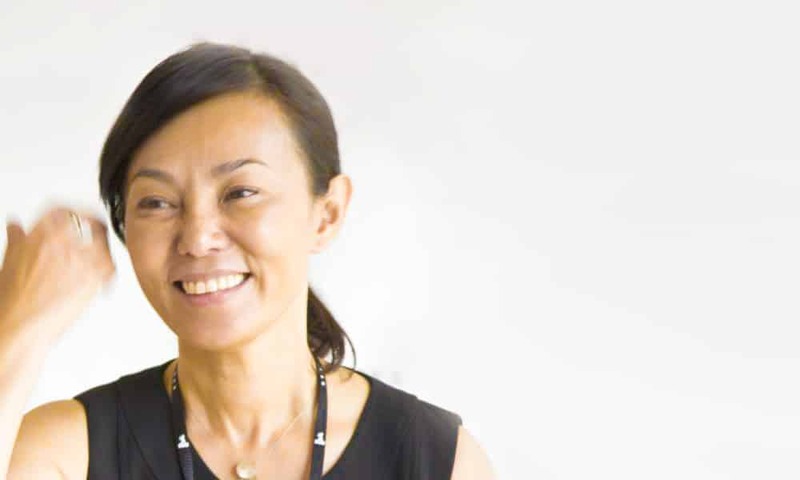 The following year, she brought Koichi Suzuno, co-founder of Torafu Architects in Japan, to discuss how architecture is more than creating buildings; it is about product design, art installations, and the public space. And in 2016, she brought some of China’s finest underground bands, including Nova Heart, the first Chinese band to play Glastonbury, to Long Beach for a show, encouraging an interaction between Eastern musicians and those in Western rock who influence them. These are just a sprinkling of examples of how she has taken to task humanizing business and business-fying the humanities if you are so inclined to describe it; that led to a much larger event that is Unexpected Connections, one that, in turn, makes Long Beach the setting for larger, more global conversations. Huang, much like she did with POW! WOW!, wants those in Long Beach to understand that every event doesn’t necessarily have to be about, well, Long Beach. And even despite getting to the prize of hosting an event that will be bringing in more than 500 people, Huang still doesn’t let pride blind her humility. Organizing this event has proved difficult and expensive, giving Huang a much-needed dose of respect for every new event she attends. But much like her other events, costs aren’t as important as impact. Huang plans on continuing her series, including ones as large as Unexpected Connections, along with collaborations with other organizations (think the popular 1-2-1 talks she coordinates with artist Jeff Staple during POW! WOW! season). Unexpected Connections will take place on Wednesday, November 7 at the Beverly O’Neill Theatre in Downtown Long Beach. For tickets and more information, click here.